In supply chain management, it is essential to monitor data-based processes. From the production stages to the end customer, a trouble-free material flow must be guaranteed, as well as the intermeshing of procurement, production, distribution and sales. Data analytics offers the opportunity to quickly identify potential problems in the supply chain or where opportunities lie fallow. The goal of data analytics in supply chain management is to create a solid foundation for digital decision-making. The availability of data is usually not a problem: ERP systems, connected reporting systems or data warehouses provide current data on deliveries, orders, incoming and outgoing goods, and planned stocks. Nevertheless, there are dos and don’ts for data analytics in supply chain management that determine how efficient the data handling is and ultimately how successful the resulting decisions are. You are a production planner in a manufacturing company and you have installed a Business Intelligence solution in your company – because now everyone is working with data. Now you can look at beautiful pie charts every day to monitor your company’s supply chain. What´s this? The inventory of part XY is high, while that of part B is low – too low to be able to supply your really important customer with the highly sought-after product on-time. Alright. Let’s get back to work. I’ll pass on the information later to Mr. Smith from the purchasing department. Or does he already have it? This scenario is definitely a big no-go in dealing with data analytics information. Many people still think Big Data is the solution to all of a company’s problems. If they collect the data from different sources, in their opinion, the problems will be solved. Consequently, they can become disheartened by a lack of results and think data analytics is just another oversold buzzword: Big data, business intelligence – it’s all the same. In a study by the management consultancy KPMG, only about 35 percent of the 2,200 managers surveyed had a high level of trust in the use of data and analysis in their company. In addition, easy access to data – and a lot of data indeed – often means that huge amounts of information and data are merely evaluated. Companies can only obtain decision-making aids for operative disposition and strategic management decisions, by making meaningful analyses of past, present and future developments. For instance, knowing the current state of your inventory alone has limited usefulness. Supply chain managers need to know how their inventories will affect the entire supply chain in the future and plan accordingly. What matters is not the collection of the data, but what companies do with it. Don’t put the cart in front of the horse; in the case of supply chain management, it is important to establish a plan and what the desired outcomes and objectives are before analyzing data. For example, an objective for an inventory manager might be to know which factors have a strong influence on the inventory and to measure their influence. These factors may include the weather or seasonal influences. Accordingly, this data would have to be linked together and the potential impact on the supply chain would have to be visualized clearly. Without pre-defined goals, the path to success is uncertain. A key element for success is the definition and communication of clear and meaningful goals for better data usage and progress monitoring. The company’s data processing system should also be set up to support the defined supply chain strategy objectives by involving relevant stakeholders. This is the only way to ensure that the right resources, skills and processes are in place. They must therefore start with a strategic business question and then collect the data needed to answer it. This is the only way you can gain valuable insights from the information, which will help your business stay competitive. Dashboards are at the heart of data analytics- they enable quick and easy analysis and interpretation, and ensure better decision-making. With the use of dashboards, all the necessary information is prepared and clearly presented. They have a reporting function, which is often used as a foundation for recommending courses of action to the decision makers. The use of dashboards also makes smooth communication between departments and management possible, in a quick and unequivocal manner. Deviations from actual and target conditions should be identified clearly and quickly. Following set standards and complying with common procedures for dashboard design results in uniform, cross-departmental reporting within the company. If you stick to certain “dos”, data analytics can provide you with optimal transparency over your supply chain processes and meaningful key figures. 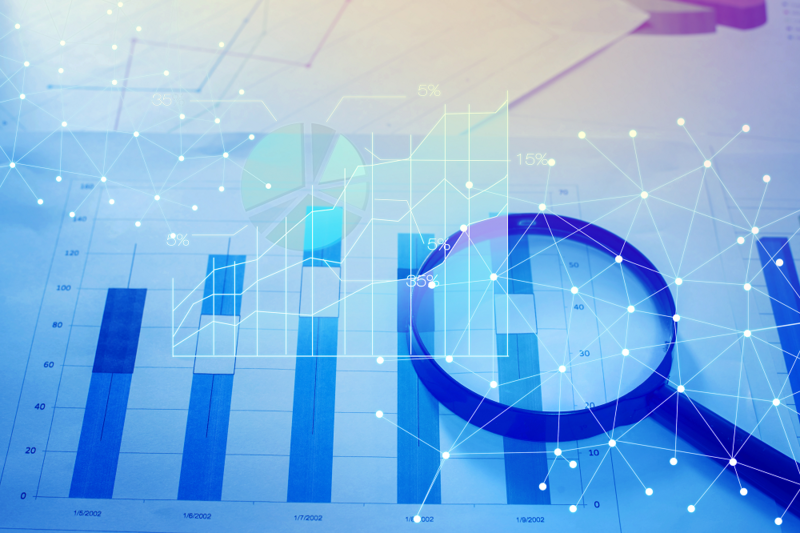 Effective data analytics can help companies identify their weak points and capabilities quicker, make more reliable plans and to reduce the effort required to evaluate complex interrelationships. With just a few clicks, future-oriented supply chain professionals can streamline processes, improve accuracy, accelerate delivery and reduce costs. Goal-oriented analyses and supported decision-making, as well as a clear visualization of the flood of supply chain data, all contribute considerably to a company’s success because, at the end of the day, well-informed executives make better and faster decisions.